PHOTO PROVIDED Evie Rembold, left, and Rachel Kibler recently gave a presentation to the Rotary Club of Lock Haven about their experiences attending the Clinton County Police Camp Cadet program. Rachel also attended the Pennsylvania State Police Camp Cadet program for ages 12 to 15. LOCK HAVEN — The Rotary Club of Lock Haven recently hosted Evie Rembold and Rachel Kibler who spoke about their experiences while attending the Clinton County Police Camp Cadet program. Rachel also attended the Pennsylvania State Police Camp Cadet for girls between the ages of 12 to 15. 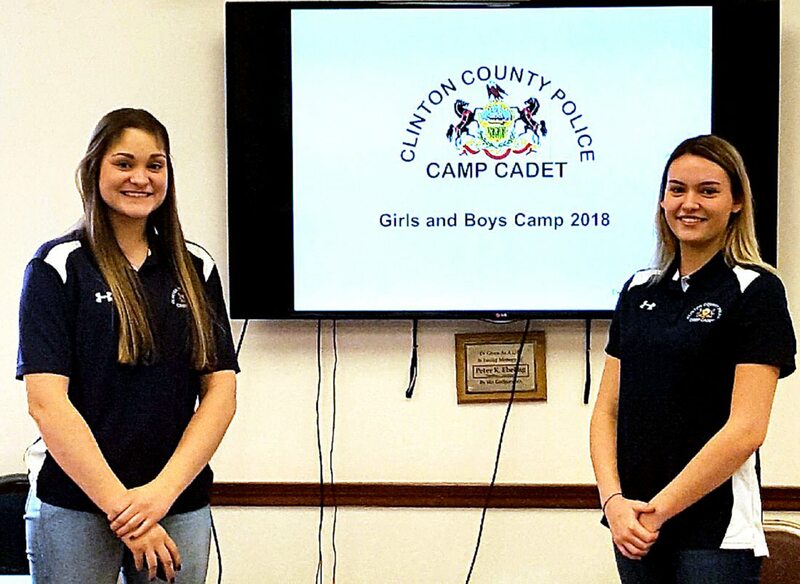 The Clinton County Camp Cadet program provides youth, between the ages of 11 and 14, with opportunities to personally interact with police officers and learn about law enforcement activities. 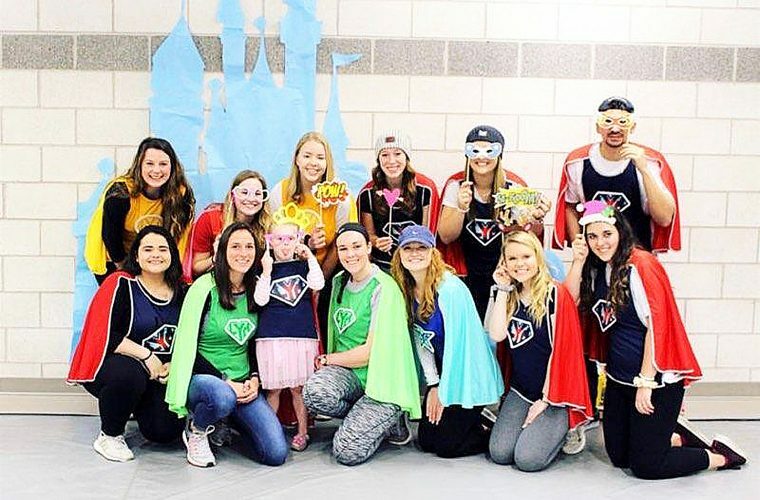 The camp, which is held annually, sponsors two separate six-day sessions, one for boys and one for girls, at Lock Haven University’s Sieg Conference Center. The goal of Camp Cadet is to introduce youth participants to diverse aspects of the criminal justice system and establish a positive relationship between youth and law enforcement personnel. All participants who attend Camp Cadet are addressed as “cadet” during the week. The camp focuses on discipline, self-esteem, teamwork, drug and alcohol education, violence prevention and many other issues facing today’s youth. Cadets are required to participate in all scheduled events which range from demonstrations about fire equipment and emergency medical services, radar, police SWAT, K-9 dogs in action, and the state police helicopter. Basketball games, volleyball tournaments, tug of wars, relay races, and the battle of the barrel help build team and cooperation skills. Camp Cadet is open to all youth and is structured similar to training at the police academy. Lodging, meals, and programs are provided at no cost to the participants. Camp Cadet is a non-profit organization funded by donations from groups and businesses and community-based fundraisers. The two speakers are Central Mountain High School students.